No, this isn't an April Fools joke. Remember Homestar Runner, and its more popular spin-off, Strong Bad Emails? The team behind the webseries released a game back in 2010, and since then... well, we haven't really heard anything from them, and the website has remained dormant. Until today, April 1, of all days. To view the new content, simply navigate over to the Homestar Runner homepage and wait for about ten seconds. The new episode starts off with Homestar updating "the most requested feature," which is, of course, the "Hairstyle Runner Gallery." He does go on to "update" some other things, and Strong Bad himself even makes an appearance. If you watch the thing all the way through to the end, you'll be presented with two rad Windows 98 desktop themes! 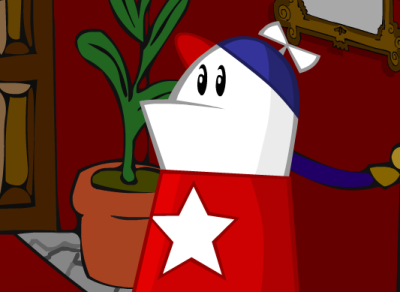 Homestar Runner holds a special place in many people's hearts, as the wacky off-beat cartoon that introduced a lot of us to the wonders of the internet. The characters were spawning memes back before memes were a thing, and a lot of the episodes are still pretty funny today. As for whether this signals more updates in the pipeline, well. "Yeah! That wasn't so bad. We should do that again soon," said Strong Bad at the end of the episode. "Like, 3 years soon, or 5 years soon?" replied Homestar. Don't hold your breath!